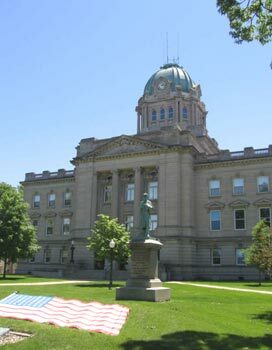 Kankakee County was established in 1853 from parts of Iroquois County and Will County. 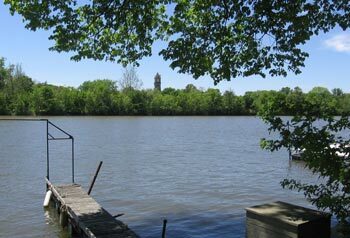 The County was named for the Kankakee River. Its county seat is Kankakee, Illinois. Kankakee County has a population of about 107,000 and it is one of 102 counties in Illinois. Cities and towns located in Kankakee County, Illinois include Kankakee, Momence, Aroma Park, Bonfield, Bourbonnais, Bradley, Buckingham, Chebanse, Essex, Grant Park, Herscher, Hopkins Park, Irwin, Manteno, Reddick, St. Anne, Sun River Terrace, Union Hill, Ganeer, Limestone, Norton, Otto, Pembroke, Pilot, Rockville, Salina, Sumner and Yellowhead.